Hi Cara, so first things first, Laing, Leggat or Laing-Leggat? Laing for work, it made sense to keep it here, but for everything else Leggat! How did it feel to grow up with such a whisky legacy? I took it for granted and wasn’t aware of it, I always heard my dad talk about the whisky industry with passion and the whisky elite were always in the house, people like Richard Paterson. I knew how much travelling my dad had to do and how whisky took him the world over. When I was growing up, if I had a cold my dad would make me a hot toddy with Port Ellen, and I was oblivious to this, in fact I didn’t enjoy it, and until I was about 20 it stayed that way. It took my interview at Whyte & Mackay to be converted. I was taken through the Jura and Dalmore range, and suddenly just “got it”. Did you always want to work in the whisky industry? No, not from the start. Although not a fan of whisky at the time I had always known that I wanted to work within the alcohol industry, I did my dissertation on RTDs and things like Smirnoff ice etc, and had some work experience with Diageo and even did some ad agency work, with alcohol campaigns. Once I had my Whyte & Mackay interview (as mentioned above) I started to enjoy whisky but still had no interest to work within it, I went in to work for vodka and was put onto working with Jura instead, and the whisky love just took over. You began your whisky career with Whyte & Mackay, what made you decide to join them rather than take up a position within Douglas Laing? I was quite disappointed when I didn’t get on to the vodka campaign. It would have been the easy option to just take a job here at Douglas Laing, and I wanted to prove that I could carve my own career. Plus the door wasn’t open here, Dad made me work for it, he said to try a few areas or work, and to choose my own path and expertise. He helped me with summer placement at Diageo but that was all. He wanted me to believe that I could do it. My grandfather made my dad go it alone and he too worked with Whyte & Mackay, and Whyte Horse in 76 which made it even more special. Director of Whisky, what does that mean on a daily basis? It is a fun title, and it’s all encompassing and being a family business, you have to be hands on and pitch in. I head up marketing and production. At the moment I look after packaging, PR, Marketing, new brands, and look after the production team. Overseeing cask to bottle, identifying the casks and sampling. Fred will primarily nose the samples and decide when they are ready, then we need to move the casks, from Islay or Orkney or just down in Perth, and bring them in our warehouse. It’s ultimately overseeing that we are bottling the right stuff at the right time. Our deadlines can be really tight sometimes, if a customer decides short notice that they would like something this is where we will try and make sure that we can make these deadlines. We want to support our distributors and we can work on very tight deadlines if we need to. We have built a good team around us, which care about the business and the people. We have a great balance within our team from people with lots of experience along with newer members of staff too. I also take care of the social media, and we want to be hands on and to keep our customers close. We want how much we care to come through. For everyone that buys a bottle, we want them to know that we are so grateful for every sale, and that it really does matter to us. As Douglas Laing is very much a family run business, including your dad and husband, does that have any downsides? Yes, sometimes, 90% of the time it is genuinely amazing, as we care so much, Fred is 64 this month but so hands on and loves what he does, it’s fair to say that since the changes of last year, it’s totally invigorated him. We all love what we do, Chris and I always say our work is almost our hobby, but there is that there 10% where we have interesting discussions, I feel very strongly on packaging, I feel it’s my remit, however sometimes Fred or Chris will sometimes have strong views on this, but more often than not, we have a great time, we have healthy debates and we challenge each other and bring different points of view. We all have different strengths Chris is commercial based, I am marketing based and Fred is experience based, together we make a great team. Do you ever have a difference of opinion? Yes, but it forces us to listen to each other, each of us knows when to step down or refer to each other for further advice. We know each other strengths. Has your family name, ever hindered you? Not really, I don’t think I ever had any negatives, perhaps because I worked elsewhere, and whilst Douglas Laing is my universe, we are still thought of as relatively small. One day maybe we will be a bigger player, but we never want to lose “us”, we always want that personal touch, that same excitement for every sale and every release. How easy is it to break though into working in the world of whisky? I think it’s becoming easier for younger people especially, there is acknowledgement that it is becoming a younger person’s drink and that opens the door. Like lots of industries though you have to come in and do some unpaid work. It’s becoming one of the industries to break into if you are willing to give up your time for, including weekends and evenings sometimes. If you are prepared to work for it, then it’s there. Generally, every day does differ, but at the moment it starts with a catch up meeting with the production team and myself or Fred, Chris and myself. Most days we receive samples, they go mainly to Fred, but he likes to share them out amongst us all, so we all get a chance to try them and have an input. There’s email’s aplenty and always packaging work to be done. Dealing with social media keeps me very busy as well as dealing with distributors and keeping up to date with all production matters. On average we have at least two meetings a day and there are always emails to answer, I’m busy enough to never get a lunch break, it’s always eating at your desk, whilst working. Developing new brands, bringing together all of the elements from developing the packaging with the graphic designer, deciding on the spirit itself with Fred and Jan and then liaising with production for the when’s and why’s of bottling. Commercial come in for where we want to market this, and how I can get involved. Going from the drawing on the back of a piece of paper to seeing it through to the finished article and watching the reviews that come in. This brings immense job satisfaction. What do you bring to the team that nobody else can? The family passion, it’s in my blood and you can’t fake passion or enthusiasm. That’s what makes me happy to give up evenings or weekends, be it on a laptop or on stand talking to consumers. There are other people that are also great at that, but being part of the family, knowing that my grandfather established this business, my father had developed it and for me to help grow it. That’s what makes it special, I often wonder what my grandfather would make of me working here, and my role. I’m lucky and it’s a unique situation, that when its family it’s different, it makes you want the success even more. 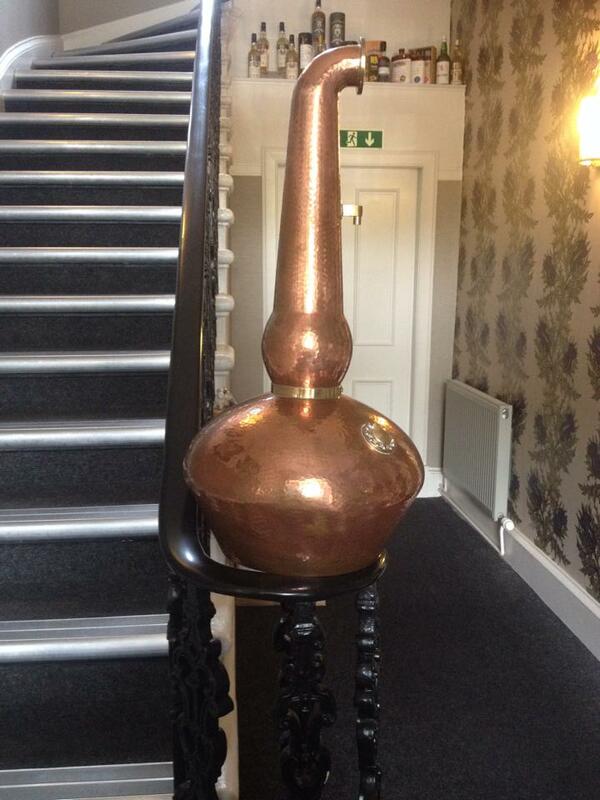 How many changes have you seen within the whisky industry? A surprising amount, the key change, beyond the challenges that stock and wood shortages are bringing, is the opening up of Whisky to younger people. Even when I was at university none of my friends were interested in whisky at all, male or female. Even just in ten years the industry has grown and grown, and whisky has almost become on trend. Do you still have time to achieve a good work/life balance or have you found whisky all encompassing? It can vary, at the moment work is busy, even on holiday we talk about work. After work and we get in the car, we stop talking about work. If we are out to dinner with our parents we don’t talk work, mainly because my poor mum isn’t interested and she will tell us to change the subject. Chris and I have a good group of old school friends who don’t talk whisky and aren’t in the slightest bit interested in whisky. It’s important to be immersed in whisky but not to be obsessed. I would ask what’s new, but I already know it’s the uber cute Timorous Beastie, tell us about it? It is an all Highland vatting with a heavy measure of Dalmore, Glengarioch and Glengoyne. As the Highland whiskies tend to be very light and gentle we felt we needed to put a bit of our take on it, so to keep our oomp we put the ABV at 46.8%, it’s non coloured, non chill filtered. I came up with the name before Christmas, we trademarked it and once we had the name and then I convinced Fred that we should do a highland vatting, he wasn’t convinced but told me to run with it. We got our packaging designer in and looked at some packaging options, and we nailed it. Once that was done Fred liked what he saw came on board completely and decided on a vatting. Late summer it all came together. The packaging and vatting came together, and that’s always a nervous time. Fred tastes it right up until the day before its bottled, making changes as it goes along. We have been getting some great feedback so far, and long may it continue. It means a lot to us, but we don’t rest on our laurels. 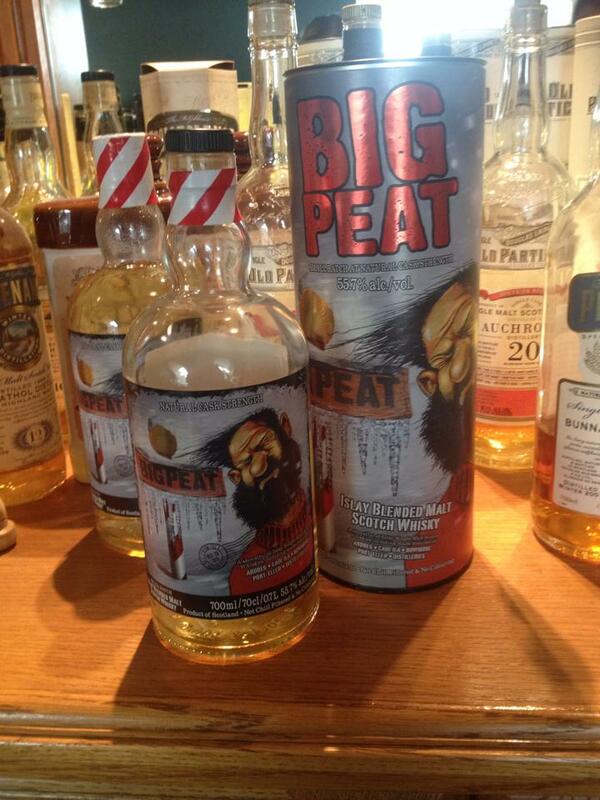 Christmas Big Peat is here, when’s the release date, and tell us a little about this batch? 1st September was the official release date. Big Peat is his own entity, he’s a person, more than a product. This year’s is bottled at 55.7% ABV and I think this is our best to date, It has a great quality about it. This is Peat’s 4th Christmas and Big Peat has hit the North Pole. This is Fred’s baby, he dreamt him up one day on the back of some excess casks from Islay in 2009. He had an idea in his head and asked the graphic designer to draw a big ileach who’s just come off the fishing boat, he’s cold and has taken a big peaty dram to warm himself, at first he was drawn smiling but Fred knew that isn’t how he would look, so the changes were made to make him more…..pensive, shall we say. 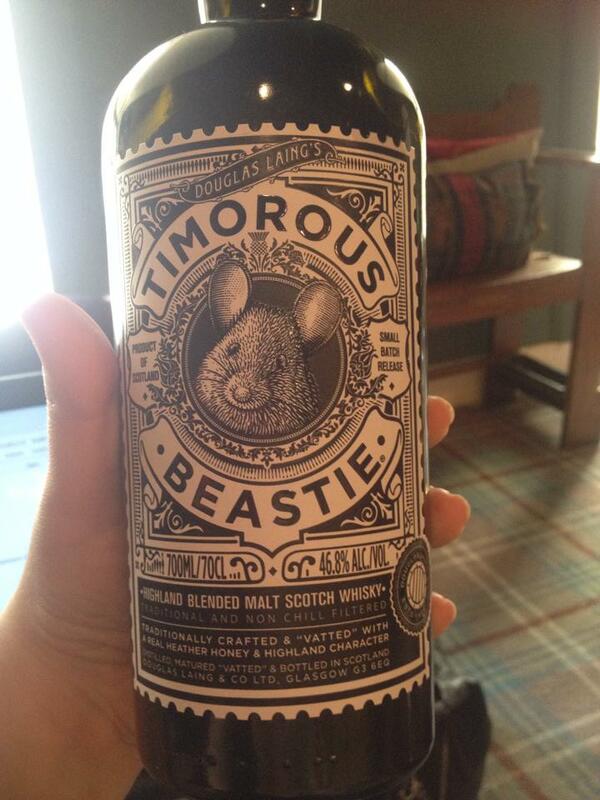 First Big Peat, next Scallywag and now Timorous Beastie, where do the ideas come from? They just come to us, all of us have an input, my baby was Timorous beastie, and maybe in future we may see a little more from Chris, Fred has fantastic ideas too. We don’t employ a marketing team for ideas, its organic and always comes from the team. 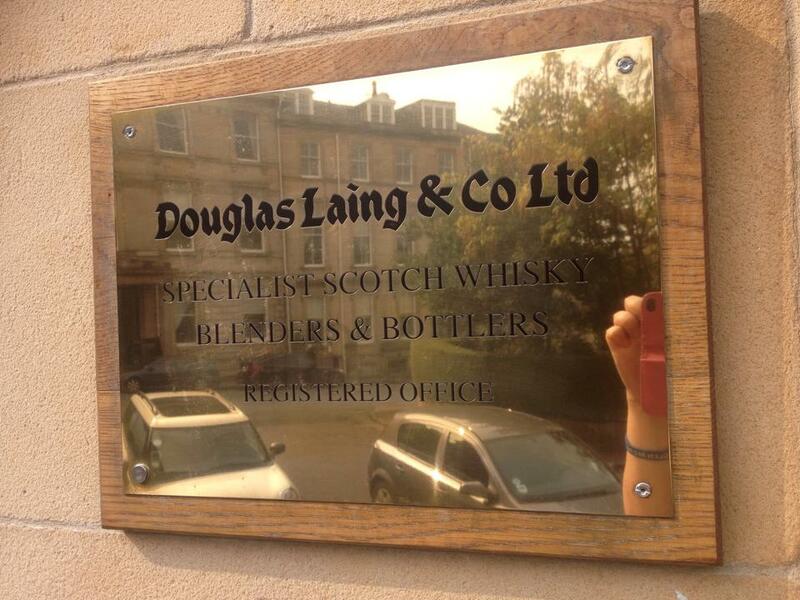 So what else is in the pipeline for Douglas Laing? We’ve got a couple of new releases still to come later this year / early next – can’t give much more away beyond that 😉 But watch this space! The launch of our Old Particular was very special – it resulted in Douglas Laing’s best ever month for sales – EVER – so that was a huge thrill to see it so well received by our customers. Becoming a Keeper of the Quaich earlier this year was also a great moment – it was wonderful acknowledgement of my time spent working hard in the whisky industry. Why do you think whisky garners such a strong following and can evoke such strong feelings and debates (perhaps particular apt as the Ardbeg Supernova 2014 is on sale today)? Consumers are so passionate about whisky which is wonderful – they have very strong views on what it right / wrong / what they like and dislike – coupled with the fact there are so many outlets for enthusiasts to share their opinions (Twitter / Malt Maniacs / blogs etc) I think it creates huge buzz and discussion about this wonderful spirit. I don’t see the same amount of online buzz about gin, rum, vodka etc. So whisky and woman, it’s almost becoming a non-issue now, but have you ever found the industry particularly difficult for women? I haven’t other than at whisky shows where you get a lot of “you’re a girl – what would you know about whisky?” That’s where it’s quite fun to turn around and say “a decent amount, what do you want to know?” I think more and more there’s an appreciation that us girls offer a different perspective and – as Fred’s always said – we have a better nose for appreciating whisky – just look at the likes of Rachel Barrie – so that’s opening more and more doors to women too. What do you think the most common whisky misconception is? That independent bottlers just bottle out what the distillers don’t want. I can only speak for us but the bulk of our whisky is bought at zero hours of age so new-make – most of which is based on “filling programs” which date back to my grandfather’s day – we then fill into our casks and bottle it when we feel it’s “bang-on”. So, certainly for Douglas Laing, it’s a myth to think that it’s ‘rejected’ spirit from a distillery. If you could change just one thing about the whisky industry, what would it be? So you can only drink one whisky for the rest of your life, what is it? It’s a real favourite of mine so I’d have to say Scallywag Speyside Malt… I love the sherry impact it has along with being at 46% strength, it’s got a good punch to it. 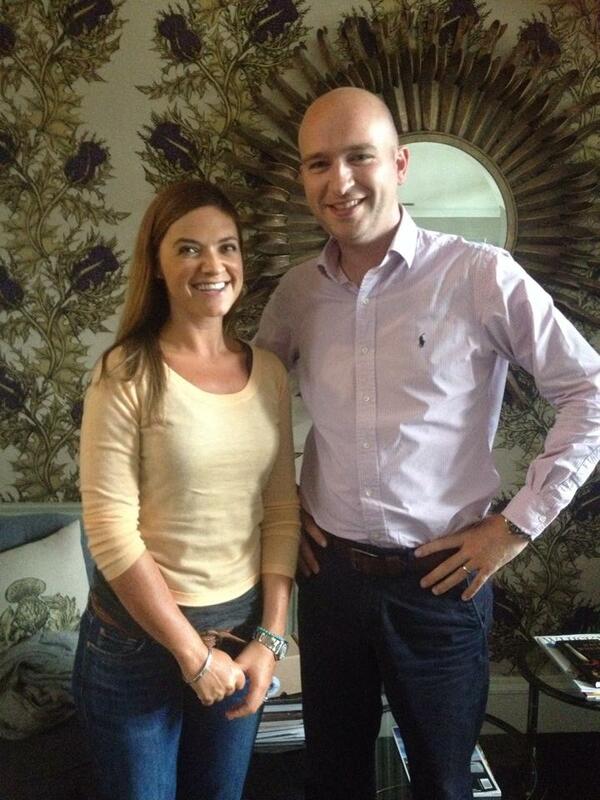 Thanks Cara (@DLaingWhisky) thank you so much for having me, it’s been a pleasure as always. I was lucky enough to sample a number of whiskies whilst in the fabulous tasting room, so watch this space for reviews. Loved the interview. I hope to get to have a sitdown with Cara in the future!